As a resident of the Denver area for most of my life, it was a true gift to experience my internship in Horticultural Therapy (HT) at Denver Botanic Gardens, a place that has always inspired magic in me. Working in the garden has always been a healing experience for me, and sharing that with others is my purpose. 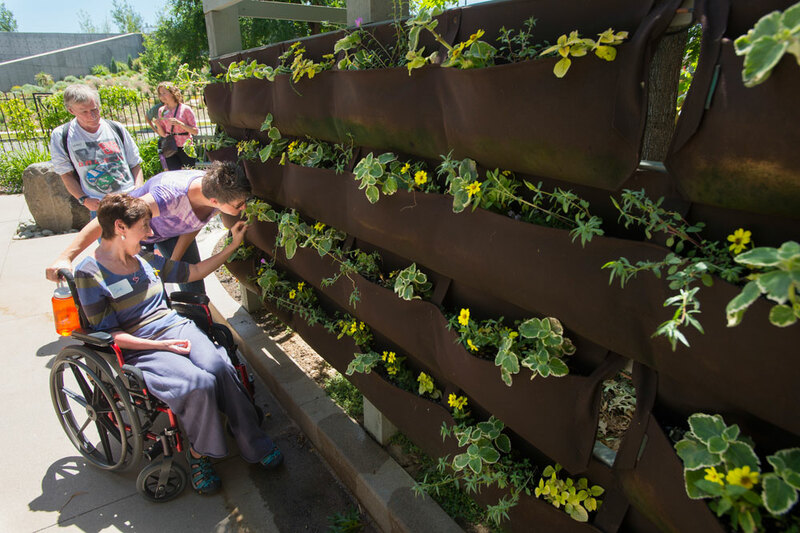 Summer Sensory is a program where groups of different populations visit the Gardens for a tour of the Sensory Garden and to participate in a Therapeutic Horticulture activity such as planting a sensory plant container or arranging flowers. We invite participants to engage with the plants regardless of differing abilities, and each participant interacts in their own unique way. The SPARK program for Alzheimer’s meets once a month, alternating between the York Street and Chatfield Farms locations. I personally enjoyed working with SPARK, as I was able to get to know the same people who came each month, and to observe how working with the plants was affecting them positively. Horticultural Therapy is especially effective for people living with dementia and Alzheimer’s, as invoking some senses, like the sense of smell, can trigger memories. I think its safe to say we may have all experienced this, as a certain scent of a flower can take us back to a special person, place or time! Other Therapeutic Horticulture Programs at the Gardens I experienced were with the Rocky Mountain Cancer Society, which included Seasonal Meditative Walks facilitated by Angie Andrade, HTR and horticulturist at the Gardens, and “The Cancer Journey as Reflected through the Art of Bonsai,” a workshop led by the Gardens' Bonsai Specialist Larry Jackel and Horticultural Therapist Angie Andrade, both aided by social workers from the Rocky Mountain Cancer Society. This experience of therapeutic horticulture touched my heart, as metaphors of nature were employed to relate to the journey of not just cancer, but life. I am also very excited to have been able to contribute a program to Denver Botanic Gardens and Craig Hospital inspired by another passion of mine: herbal medicine. I created a seasonal Horticultural Therapy curriculum that focuses on growing, preserving, and experiencing herbs. We began in the spring, learning how to plant and care for herbs. As we shifted into summer, the herbs offered their abundance and participants harvested and made tea with fresh herbs. As summer waned, we began to think of ways to preserve the herbs. In late summer, participants preserved herbs in vinegar. In the fall, participants learned techniques for drying herbs for winter use. In winter, when little is green outside, participants are able to create their own unique winter tea blend with herbs they harvested in the fall. This program is designed to guide participants to relate to the seasons in the context of how herbs can be beneficial in their own lives. Along with this curriculum, I have also created an herb chart with information on herbs that are easy to grow on the Front Range, as well as ways that they can be used in culinary or medicine. My internship at Denver Botanic Gardens has been a life-changing experience. This internship has expanded my knowledge and appreciation of the plant world, both cultivated and native plants. I am grateful that the Gardens created this internship to offer to students of Horticultural Therapy. I am thankful for the knowledgeable and passionate staff at the Gardens, especially my mentors, Angie Andrade and Lee McCoy. This internship has inspired and challenged me to step into my role as a guide for people to connect with nature. This blog post was written by Gina Sferrazza. Gina first discovered her love of gardening by sowing seeds in a tiny backyard patio. She went on to develop her horticultural skills through working on vegetable and medicinal herb farms. 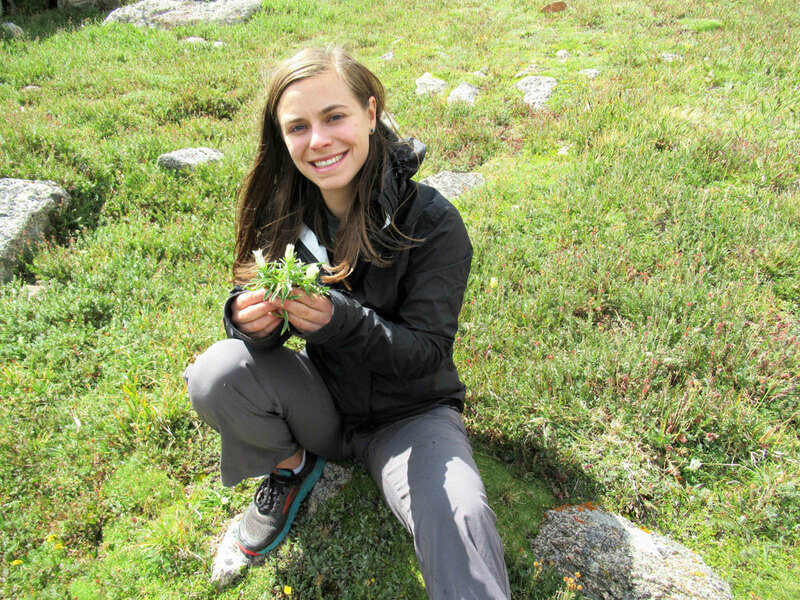 She has volunteered with horticultural therapy programs at The Mental Health Center of Denver and Jeffco Transition Services before starting as the Horticultural Therapy Intern at Denver Botanic Gardens. Gina's personal mission is to use her knowledge to teach others how to cultivate plants, in order to create a world in harmony with nature. ‹ Previous Article: It’s Beginning to Look a Lot Like Blossoms of Light!